Sam Allardyce was asked about taking the job at Huddersfield Town this week. I’m no Salim Lamrani, but I translate that as, ‘The job would be too hard, so I won’t even try.’ In a week when the concept of English football culture has dominated debates about Marcelo Bielsa sending a scout to watch Derby County’s training sessions, it’s a revealing insight into the methods of a manager recently considered worthy of coaching the English national team. If Allardyce had been asked about taking over Leeds United in the summer, I’m sure he would have said the same thing. Few who watched any of United’s games during the second half of last season would have imagined the players capable of much improvement, or prescribed anything less than a multi-million pound overhaul of the squad. Somebody who watched all of United’s games last season came to a different conclusion, but I’ll come to that. Back before he convinced himself simultaneously that he was capable of coaching Real Madrid but that managing Huddersfield would be too hard, Allardyce was considered an innovator for his work with Bolton Wanderers. He employed sports scientists, wore a bluetooth headset and let Jay Jay Okacha or Youri Djorkaeff do what they wanted; he had it cracked. It was a short walk from keeping Bolton away from the relegation zone to the England job, but somewhere along the way Allardyce realised that he could save himself a lot of trouble by pouring one big glass of wine instead of expending energy sipping from several little ones. Never a great success as a player, he had to earn respect as a manager, but praise and profile made him complacent. The fault isn’t only with Allardyce, but with the culture in which he works. English football rewards mediocrity because of its innate confidence, ever since the 1930s when the Football Association refused to lower itself to competing in the World Cup; England invented the game, so why should it have to prove its superiority in anything so tawdry as a competition? When they finally agreed to play, England realised the true cost of its insularity; the USA beat them 1-0 in the 1950 World Cup, and Hungary won 6-3 and 7-1 in friendlies in 1953 and 1954. Well, I say England realised; those lessons still haven’t truly sunk in. The story of English football’s superiority complex is also the story of Don Revie’s punishment. Leeds United were not strangers to complacency; although Raich Carter won promotion with Leeds in 1956, his belief that talent was born of nature rather than nurture — he’d won everything as a player by the age of 23, and didn’t believe in training — set United on a path straight back down to Division Two; he so neglected the scouting and analysis systems installed by his predecessor, Major Frank Buckley, that the club was on a course for Division Three. One of the club’s youngest players, Jack Charlton, was so frustrated by the situation that he enrolled on coaching courses until he was more qualified than his managers. United’s decline demanded a response, and Don Revie’s appointment reversed the course; with Syd Owen, Les Cocker and Maurice Lindley on the staff and Charlton and Billy Bremner on the field, he began a modernisation programme that made Leeds United the most consistently successful English team of the second half of the 1960s; in United’s first five seasons after promotion, no First Division team won more games, or lost fewer. It ought to have inspired a dual national celebration after England, with Jack Charlton on the pitch, Norman Hunter in the squad and Les Cocker on the staff, won the World Cup in 1966; but winning the Jules Rimet trophy at Wembley only reinforced English football’s superiority complex, contrasting harshly with the methods used in Leeds. Revie had already turned traitor by copying Nandor Hidegkuti’s role in Hungary’s two demolitions of England, playing as a deep-lying centre-forward and winning the FA Cup with Manchester City. Now, as manager, Revie wasn’t celebrating football’s return home to its inventors; he had a team at Elland Road dressing up as Real Madrid and playing like Juventus or AC Milan. Neither Spain nor Italy had qualified from their groups at the 1966 World Cup, but Revie was rejecting the tournament’s corinthian winners and adopting the cynical win-at-all-costs style of foreign club teams. Leeds copied tactics used against them by European clubs; they compiled detailed dossiers on the weaknesses of their opponents. 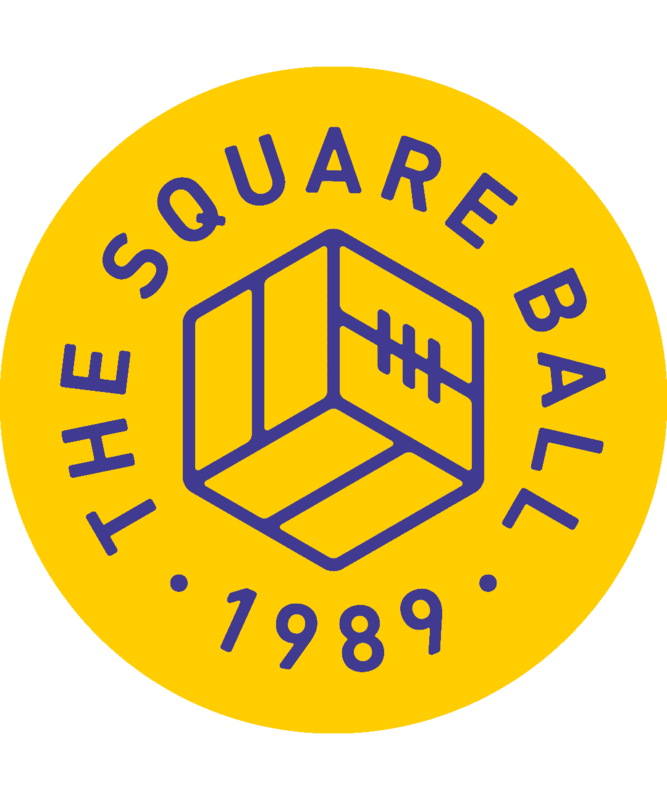 Leeds United didn’t conform to the rules by which an English team ought to play, and worse, they were from Yorkshire; a foreign intrusion into the English establishment’s self-belief. Fifteen hours equates to ten full matches; Leeds have played thirty league and cup games this season, so Lampard’s preparation included watching a third of them. He might think that’s the game, but on Wednesday Bielsa showed him that the game has moved on. In his extraordinary press briefing at United’s training ground, Bielsa accounted for the 300 hours he and his staff invested in analysing Frank Lampard’s Derby County, research that took them back into last season before Lampard was even there; many of the same players were, and Bielsa wanted to know every detail of each individual. Bielsa showed compilation videos of Derby’s attacking, talked through the nuances of Harry Wilson’s signals at corners, scrolled through clips of players missing chances, broke down the team’s favoured formations, showed the tactical setups they struggled against, and made one thing absolutely clear: Marcelo Bielsa knows more about Frank Lampard’s Derby County than Frank Lampard. Lampard, who has been a football manager for five months, after delaying his start at Derby to complete his punditry at the World Cup, claimed later that Bielsa’s research isn’t exceptional, that everybody does it; Bielsa has the anecdote of an astonished Pep Guardiola, amazed by the analysis done on his Barcelona team, to catch Lampard in his smug bluff. In his lecture, Bielsa landed blows as firmly as Berardi upon the nose of the allegations against him. The EFL don’t accuse him of ‘spying’; they can’t, not seriously, because Bielsa has admitted all of that. They are investigating whether Bielsa’s actions breach their charter, that states, ‘…each Club shall behave towards each other Club and The League with the utmost good faith’, while there is a wider accusation from the media that Leeds gained an unfair advantage by watching other teams train. Bielsa showed how the amount of data he gathers from all sources makes any advantage from watching a training session almost irrelevant, while letting his work speak for the respect he is showing the Championship. No coach is respecting, living, breathing and analysing the EFL Championship and its clubs like Marcelo Bielsa this season. Naturally, the EFL will punish him for it, because such diligent attempts to win don’t conform to a complacent English sporting culture that thinks you become a top coach by watching fifteen hours of footage a week for five months, or that turns down jobs because they look too hard. Don Revie was disdained for introducing foreign methods to English football and making Leeds United successful; Marcelo Bielsa is double trouble for actually being Argentinian — or Italian, according to Peter Shilton — and making Leeds United successful. What people like Peter Shilton, Stuart Pearce and dozens of others are missing in their righteous defence of ‘how we do things here’ is that things aren’t done here the way they think they are anymore. The top levels of our great English game are dominated by coaches like Mauricio Pochettino, who reveres Bielsa from their time together at Newell’s Old Boys and the Argentina national team, and Pep Guardiola, who made a pilgrimage to Bielsa before deciding he could be a coach. For years Bielsa’s disciples have been setting the standard, raising the bar and working with methods that Sam Allardyce wouldn’t dream of; relishing their work because they’ve made it harder than it used to be, because hard work is what winners do. But, says Lampard, “I haven’t seen Pep Guardiola give that [sort of lecture], I haven’t seen Jurgen Klopp give that, Pochettino give that. They do it behind closed doors, definitely. But they don’t do it to the public.” Lampard is wrong; none of those coaches have hidden their methods from the writers and film-makers keen to analyse them. But this is English sporting culture in a nutshell: ashamed to be seen trying, afraid to work hard and learn. Don Revie would not have publicly acknowledged it, but many of his former players have spoken of the anxiety that was Revie’s great strength as well as his weakness, expressed in his reliance on dossiers and analysis even when he had the greatest players in the world straining at his tactical leash. Revie was a worrier by nature, so he thought he had to work harder than anybody else, and by working harder, he learned more and achieved more. 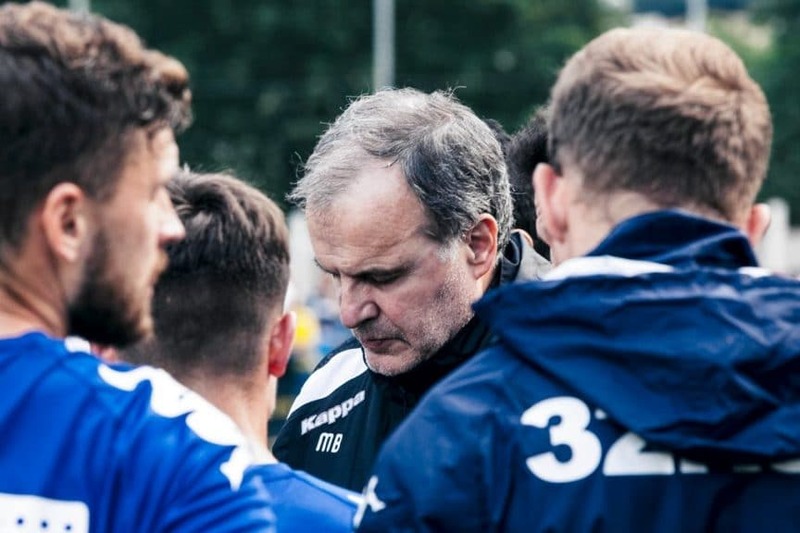 For Marcelo Bielsa, shambling through quiet early morning streets, blotting out the dawn chorus with tactical talks on his Walkman, see Don Revie in his lucky blue suit, pacing along Elland Road to touch his lucky lamppost, his mind concentrated upon the minute details of the game about to be played.